If you live in Tircoed, or are planning on living in the village, we hope to answer all your questions, help you find out what's going on, and find more information about something you may need help with. The village has many official and unofficial annual events including summer and Christmas Fetes, fairs, coffee mornings, and Halloween parties; so check back here often for updates, or visit Facebook to connect with the community. 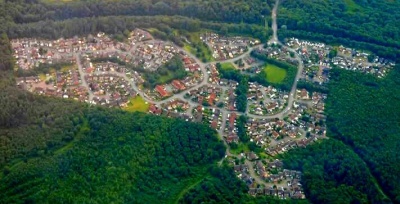 Tircoed Forest Village is situated in the SA4 region of Swansea, South Wales between the villages of Penllergaer and Pontlliw, and is accessible from the A48 near Junction 47 of the M4 motorway. It was built from the late 1980s onwards and consists of 470 houses clustered around a village hall, pond, green, and shop, and even has its own local community radio station - Radio Tircoed. The village has a fantastic sense of community, and is served by Trustees (unpaid volunteers taking responsibility to help the community). The square is the hub of the village and includes children's play areas. 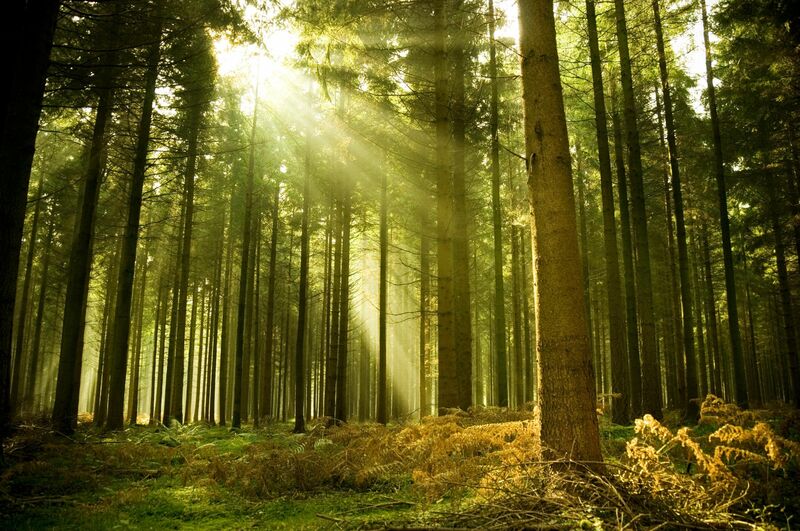 There are stunning forestry walks right on our doorstep. Our own community radio station broadcasts far and wide. Get involved! If there's something you want to know about life in the village, there's a good chance you'll find the answer below. If you don't find the information you need, why not ask the community on Facebook? If you're sure you can't locate the information you need below, visit the Contact section below, to find out who you need to speak with. What is a Rent Charge and how much is it? The Rent Charge is an amount of money every house is required to pay (there are a small number of houses in the village built before 1998 in Bron Afon exempt from this). The current Rent Charge is £87.57 per year (payable every March) and this will increase by a small amount every five years (this will happen next in 2020). Further information about how this is calculated is provided with your payment demand each year. Why is there a Rent Charge? Due to the village being created in a special way, each house is required to pay the Rent Charge, to contribute to the upkeep of the village. This Rent Charge is similar to that paid by persons living in a block of flats, or in a gated community, for example. Payment of the Rent Charge is mandatory, it is not optional, and every house is legally obliged to pay it. This will have been clearly explained to you by the professional you instructed when you purchased your property. It is extremely unlikely you would not know of this, but if you feel you are in this position, it is something you should take up with the professional you paid to undertake the legal work for you, when you purchased a property in the village. It is the house owner who is liable for this charge. If you rent a property in the village you should speak to your landlord to confirm the terms of your tenancy agreement regarding the charge. If you don't own the freehold for the land your property is situated on you will be required to pay Ground Rent annually (some may call this the 'leasehold' and it shouldn't be confused with the Rent Charge). The Ground Rent fee varies depending on the land your house occupies. The Rent Charge is administered by CLC Chartered Surveyors and the Ground Rent is administered by Rees Richards & Partners. Contact details for both are found below. Can you claim gift aid to increase funds? Yes! A Gift Aid form is supplied every year with the Rent Charge demand. If you pay tax, this will normally be of no cost to you, and the Trust may claim extra funds from HMRC for the benefit of the village. You can download a Gift Aid form to send to us here. What does the Rent Charge get spent on? The Rent Charge is mostly used to maintain the village. Examples of this include, cutting of grass, maintenance of trees in and around the village, lighting around the village hall area, village hall maintenance, etc. Tircoed Village Trust is a registered charity, and as such, all annual financial accounts are available publicly by visiting Companies House. Tircoed Village Trust Registered Company Number 03091199. Charities Commission Number 1048708. Why do we pay a Rent Charge for services that the Council should provide? This is all due to an issue regarding adoption. When the Council adopts the village it will be responsible for additional activities such as the maintenance of street lighting. This has been a frustratingly challenging issue for the Trust and the matter is extremely complicated due to factors such as drainage and pond ownership with Welsh Water. The Trust are actively pursuing this issue as a matter of priority. There is more information about this available on request if you wish to know more or feel you can help in any way. Please contact us below. What happens if I don't pay the Rent Charge? Not paying the annual Rent Charge means there is additional cost required in administration requiring the payment of outstanding debts, in addition to loss of interest of amounts banked. If you feel the village is a lovely place to live (and a lot of people think so) and enjoy the benefits from village upkeep, facilities and events, please ensure you pay outstanding monies promptly. IF YOU KNOW YOU OWE MONEY, PLEASE PAY BEFORE JANUARY 31ST TO AVOID ADDITIONAL FEES AND LEGAL ACTION. Currently, the Trust is owed a considerable sum by some residents who have elected not to pay. This is money that cannot benefit the village as outlined above. In addition to the the legal ramifications of not paying, a resident choosing not to pay this money, is expecting everyone else in the village to shoulder the cost of tree and grass maintenance, running of the village hall, and summer and Christmas fetes, etc. I wish to find out how I can pay, how much I owe, or have an enquiry about my account, who do I contact? All collection of Rent Charge monies and accounts are handled by CLC Chartered Surveyors. You will receive a statement every year (usually around April) outlining any monies owed and detailing several methods of payment. Their contact details are given below. Why do we have Trustees? With the amount of money involved and responsibility required to run the village, a Trust was appointed in order to manage this. The Trustees are directors of this Trust, which is a not-for-profit charitable organisation. The Trustees do not earn money for the time and effort they donate towards the running and betterment of the village. How do I get in touch with the Trustees? You can find all the contact details you need by visiting the Contact section below. Are there public meetings and can I attend? The Trustees held public meetings regularly in the past, but there was very little interest and attendance. If there is ever a need to hold a public meeting, the Trustees will be more than happy to organise one. Information regarding Trust activities is available on request and a good deal of information is already publicly available as outlined above. I have an idea about a village improvement, facility, or event that will benefit the village, who do I contact? Please contact the Trustees. You may be required to complete a simple application form regarding your idea, which will ask about potential costs, who would be responsible, etc. The Trustees will be happy to review every request submitted. I have an issue with a tree, who do I contact? Welcome to Tircoed FOREST Village! A huge attraction of moving to, and living in, the village is that it is nestled in a beautiful forest. Whilst being surrounded by lush green forestry is an attraction, it is understood some trees may grow large, and cause a concern to some. The following aims to help you direct any such issue correctly. If there are branches, fruit, seeds, nuts, etc. overhanging your property, please remember you are legally permitted to trim anything overhanging and return trimmings onto the land the tree grows from. Is the tree rooted on a neighbour's land? If so, please speak to them directly as you would do in any other part of the UK. If the tree is rooted in Natural Resources Wales (formerly known as Forestry Commission) land (these trees form the perimeter around our village) please contact them for advice. Is the tree on the approach road into the village (the half mile road toward the mini-roundabout)? If so, you need to contact the Council. If the tree is rooted in any other area please contact CLC Chartered Surveyors for advice. All contact details are provided below. I wish to report a problem regarding street lighting, drainage or road markings. Who do I speak to? Please remember, most of the village is still unadopted. When the Council fully adopt the village (planned for 2017) all enquiries should be directed there. The approach road to the village is the responsibility of the Council already. All other roads are currently under ownership of the developers (Bovis or Persimmon depending on where you are in the village). Contact details are given below. Who is responsible for the lake in the village? The lake (pontoon, pond) should come under ownership of Welsh Water, but due to circumstances regarding village adoption, the upkeep has to be undertaken by the Trust. The lake has been successfully managed by the Trust for the best part of 20 years, and will continue to do so, unless advised that ownership may be transferred. Who is responsible for emptying the red dog waste (poo) bins? Swansea Council is responsible for this. If you find a bin which is close to full, or overflowing, please contact them using the details given below. I wish to book the village hall for a private function, business event, or activity for the benefit of the village. Who do I contact and how much does it cost? Any persons wishing to use the hall are charged a small fee to contribute toward the running costs (lighting, heating, water and drainage, cleaning, wear and tear, etc.). If you are a resident of the village (proof may be required) you are entitled to reduced fees. All hall enquiries should be directed to the contact details found below. Why do we have a radio station in the village? Radio Tircoed is one of the many attractions that makes our village unique. It is a volunteer-run radio station operated for the benefit of our community and its staff also give up their time to support our village events. You can find more information about Radio Tircoed by visiting their website. What events are held in the village? The Trustees organise two events a year, namely, the Summer Fete and Christmas Fete. The Summer Fete is usually always held on the Saturday of August bank holiday weekend, and residents enjoy many activities and live acts throughout the day and evening. The Christmas Fete is usually always held on a Monday evening in December with villagers enjoying mince pies and mulled wine as children visit Father Christmas in his grotto. There are also coffee mornings, baby and toddler groups, craft fairs and clubs throughout the year. For up-to-date news on events and activities in the village, please visit the Tircoed Forest Village Community Page on Facebook. If you would like to propose or organise an event, or support our annual fetes, please contact the Trustees using the contact details below. You will find some of the latest news about our village here. If there's anything you need to know, or would like to publicise, please get in touch using the contact details below. Over 55 and looking to meet others? 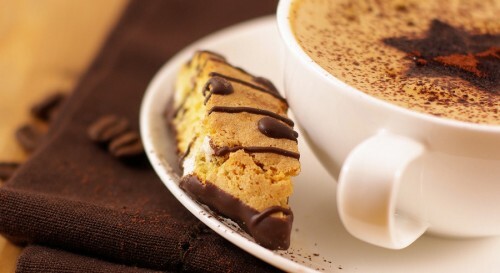 Join us for coffee every Wednesday morning at 11am in the village hall! There is no need to register, just turn up, and enjoy a coffee and a chat with other like-minded neighbours! It is still taking an inordinate amount of time to get the village adopted by the council from Persimmon. This has been due to issues with Welsh Water regarding the pond, the current state of repair of roads, and encroachment of land in some areas. The Trust has elevated their frustation to our local councillers and assembly minister for support. You are at liberty to contact any of these parties if you wish to voice your concern also. Our village is a lovely place to live and residents wish for it to continue being safe and quiet. 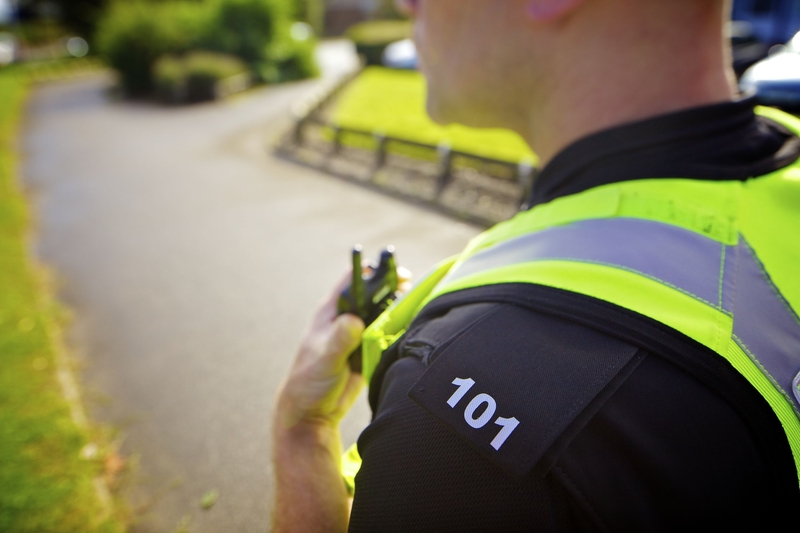 If you experience problems with anti-social behaviour, or have concerns about it, please contact the local council or call the non-emergency number, 101. In an emergency, call 999. Click here for local police information. Here you will find contact details for everyone who can help with village life. If you can't find the right person, or need to ask a question not answered in the FAQs above, use the form below to send us a message. To book the village hall please contact Ieuan Thomas on 01792 891549 for availability and cost. Please use the form below and we will reply as soon as we can. © 2019 Grated Cheese Media. All rights reserved.